A company slogan should say everything it can about the positioning of the brand, ideally even something about the USP. What makes you different? What quick yet memorable statement would you like to make in a catchy way that summarises what you stand for, who you are, or why to buy you? Sadly, however, something else became more important. They will have soon realised that the name Baur, which is pronounced exactly the same way as the common German name (and brand) Bauer, is a problem on the internet. People will search for ‘Bauer’. Baur is written without an E. What a shame that this statement, so bereft of imagery, so uninspiring, has to be the big thing that gets plugged so heavily. It’s the last thing people hear before the next ad. But it’s memorable. The solution? Maybe next time put more money into other media so people can SEE your name? Have they not worked out that this problem may be self-caused? By choosing a non-visual medium for their campaign – the radio – they’re using valuable advertising budgets to highlight a problem rather than actively promote something positive about the brand. 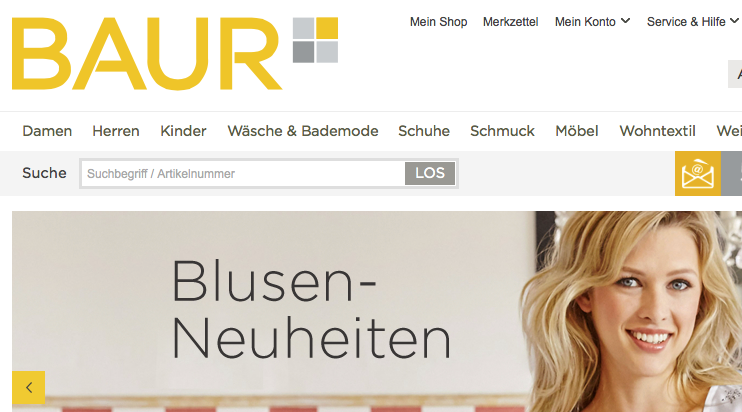 Sure, I remember now that you’re Baur not Bauer, but that’s all I remember. This entry was posted in Ponderings, Promotion and tagged Baur. Bookmark the permalink.